Well it's starting to get cold here. I have decided to heat my workshop with a wood-burning stove. Since wood is a renewable resource, and cheap, it seemed like the right thing to do. There are several sawmills around here where you can get a (load-it-yourself) pick-up-truck load of firewood for ten dollars. A lesson learned: “It pays to shop around before you buy.” The exact-same model of a small cast-iron wood stove sells for prices all over the place. $200, $300, $400, and even close to $500. (Thank you Google.) By using a 25% discount coupon at Harbor Freight, I bought one for $127. It turned out, however, that the cost of a new chimney is much higher than the stove. Video of Chairman Tom Wheeler's First All Hands Meeting With FCC Staff. Learn how to make residual income for yourself and family and about a new way of doing business. 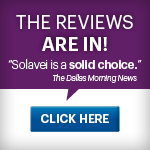 I switched to Solavei to get unlimited voice, text and data on one of the nation's fastest 4G networks for only $49/month—and when I share Solavei with others, I earn cash . . . and so can you! Check it out for yourself and then let's chat about it. Media outlets are raving about a new way of doing business. Headlines ranging from "Solavei is a solid choice" to "you gotta love no phone bill" are touting the unbelievable offer of unlimited mobile service for $49/month AND the opportunity to earn income by simply sharing with your friends. But don't just take our word for it—read the stories by clicking the image! John Chen, who will attempt to turn around BlackBerry Ltd. (BB) as its new executive chairman and interim chief executive officer, will get $3 million in salary and bonuses, as well as restricted stock valued at $85 million. Chen, named to the post on Nov. 4, will be eligible for $1 million in base salary and a performance bonus of $2 million, the Waterloo, Ontario-based company said yesterday in a filing. He will also be awarded 13 million shares that will vest over the next five years. Chen, 58, was named interim CEO while BlackBerry looks for a permanent replacement for Thorsten Heins, the outgoing chief. Heins is slated to get a termination payment of about $14 million, based on estimates from a company filing in May. The company has declined to comment on the pay package. If Chen's employment is terminated without cause, he will receive his salary for the remainder of that year, plus two times his base salary and bonus, the company said. That would total $6 million. In taking the helm at the struggling smartphone maker, Chen will try to replicate the success he had turning around Sybase Inc. After years of shedding market share to Apple Inc. (AAPL) and Samsung Electronics Co. (005930) , BlackBerry is grappling with a plunge in sales and mounting losses. Investors in the $1 billion debt sale include Mackenzie Financial Corp., Markel Corp. (MKL) and Canso Investment Counsel Ltd. Canso is investing $300 million, Fairfax is putting in $250 million, and Mackenzie is contributing $200 million, according to the filing. Markel and Qatar Holding are each adding $100 million, while Brookfield contributed $50 million. Despite BlackBerry's challenges, the bonds are a safe investment, said Sameet Kanade, an analyst at Jacob Securities Inc. in Toronto. The debt holders will get first crack at BlackBerry's assets in a bankruptcy. If, on the other hand, the shares rise, the debentures can be converted into stock at $10 a share, he said. "On the downside, you're protected," Kanade said. "And on the upside, you could make a killing." The move to borrow the funds underscores BlackBerry's deteriorating cash situation. Its cash and short-term investments fell by almost $500 million last quarter to $2.3 billion, according to data compiled by Bloomberg. At that rate, the money will be gone by the end of next year. BlackBerry is also seeking a tax refund of as much as $1 billion before the end of this year, according to two people familiar with the situation. The company is negotiating for a larger refund than the $500 million previously disclosed and is asking the Canadian government to speed up the process, said the people, who asked not to be identified because the discussions are private. The debenture transaction is expected to be completed within two weeks, according to the filing. If it hasn't closed by Nov. 27, any of the parties can terminate the agreement. Fairfax has an option to arrange for $250 million more of the debentures within 30 days of the transaction closing. BlackBerry must pay a termination fee to the bond investors if it enters into an agreement to sell the company. The fee ranges from $135 million to $250 million depending on the circumstances. Cerberus Capital Management LP, the New York-based firm that specializes in investing in distressed assets, had been discussing a joint offer with BlackBerry's co-founders and chip maker Qualcomm Inc. (QCOM) before BlackBerry negotiated the bond deal, two people with knowledge of the matter said last week. BlackBerry's new creditors are a mix of U.S., Canadian and Qatari investors. Canso is a closely held money manager based in Richmond Hill, Ontario, that was founded by John Carswell. Brookfield, Canada's biggest manager of alternative assets, oversees office buildings, ports and railways on behalf of third parties. Mackenzie, a Toronto-based investment manager, is the eighth-largest investor in Fairfax. It held about 294,000 shares as of July 31, along with some BlackBerry shares, according to Bloomberg data. Qatar Holding, meanwhile, is a unit of the emirate's sovereign wealth fund. Markel is a holding company based in Glen Allen , Virginia , that offers insurance. Fairfax and its partners are restricted from selling their debentures for at least a year after purchasing them, according to the filing. "I'm surprised that there's no major U.S. fund involved," Kanade said. "But the investment is as safe an investment as you can get." 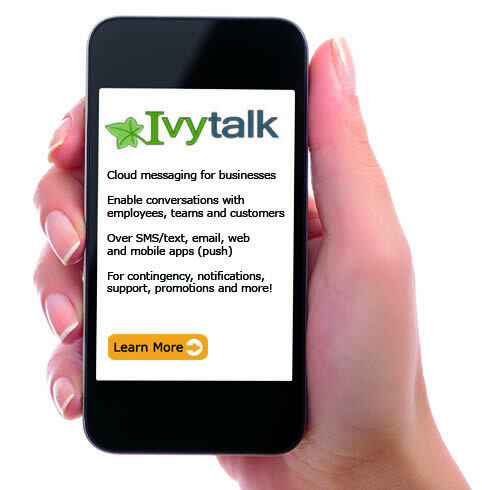 Discover the Latest Innovations in Public Safety Critical Messaging! The webinar is complimentary, but you must reserve your place by clicking here . Space is limited so please reserve your seat today. In the mean time you can click here for a complimentary white paper on "Public Safety Dispatching." 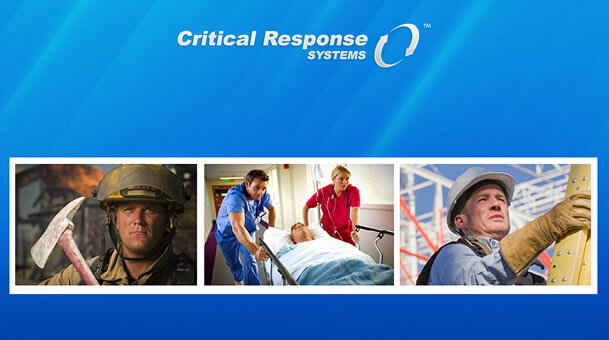 Feel free to visit our web site www.criticalresponse.com for more information. We look forward to seeing you on November 12. If you can't attend in person, please register and we will send you a copy of the recorded webinar. 445 12 th Street, S.W. Washington, DC — Federal Communications Commission Chairman Tom Wheeler today announced staff appointments to the Office of the Chairman and additional senior appointments in the Office of General Counsel, the Office of the Managing Director, and the Wireless Telecommunications Bureau. Chairman Wheeler said: "This team will hit the ground running. With critical work to be accomplished for the American people and the Internet becoming ever more important in the lives of consumers and businesses across the nation, this team provides an excellent mix of governmental, private-sector and public-interest expertise. They will join the many talented and dedicated professionals of the FCC, as we work to continue serving the public interest during an era of great technological change." Ruth Milkman, Chief of Staff. Ms. Milkman served as Chief of the FCC's Wireless Telecommunications Bureau from August 2009 to June 2011, and from June 2012 until the present. From June 2011 to June 2012, Ms. Milkman was Special Counsel to the Chairman for Innovation in Government. Previous experience at the Commission between 1986 and 1998 included serving as Deputy Chief of the International and Common Carrier Bureaus, and as Senior Legal Advisor to Chairman Reed Hundt. Ms. Milkman also was a founding partner of Lawler, Metzger, Milkman & Keeney, LLC and served as a law clerk to the Honorable J. Harvie Wilkinson of the U.S. Court of Appeals for the Fourth Circuit. 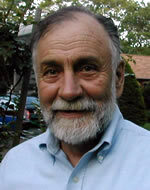 Philip Verveer, Senior Counselor to the Chairman. Ambassador Verveer served from 2009-2013 as U.S. Coordinator for International Communications and Information Policy at the U.S. Department of State and, before that practiced communications and antitrust law in the government and in private law firms for more than 35 years. Ambassador Verveer's previous service at the Commission includes tenure as the Chief of the Cable Television Bureau, the Broadcast Bureau, and the Common Carrier Bureau, where he participated in a series of decisions that enabled increased competition in video and telephone services and limited regulation of information services. Gigi B. Sohn, Special Counsel for External Affairs. Ms. Sohn has served since 2001 as the President and CEO of Public Knowledge and, from 2011-2013 as the Co-Chair of the board of directors of the Broadband Internet Technical Advisory Group (BITAG). She has served on the board of the Telecommunications Policy Research Conference (TPRC) and on the Advisory Board of the Center for Copyright Information. In October 1997, President Clinton appointed Ms. Sohn to serve as a member of his Advisory Committee on the Public Interest Obligations of Digital Television Broadcasters. Diane Cornell, Special Counsel. Ms. Cornell has served as Vice President for Government Affairs at Inmarsat and Vice President, Regulatory Policy at CTIA, The Wireless Association. Ms. Cornell previously worked at the FCC, where she served as a Legal Advisor to three Commissioners, Chief of Staff of the Wireless Telecommunications Bureau, and Division Chief in the International and Common Carrier Bureaus. Ms. Cornell is a former President of the Federal Communications Bar Association and was previously a director of the Universal Service Administrative Company (USAC). Ms. Cornell will have responsibility for issues in the International Bureau, as well as for FCC process reform. Daniel Alvarez will serve as a legal advisor to the Chairman, with responsibility for issues in the Wireline Competition and Public Safety and Homeland Security Bureaus. Mr. Alvarez has practiced law at the firm of Willkie Farr & Gallagher LLP since 2005. Renee Gregory will serve as a legal advisor to the Chairman, with responsibility for issues in the Office of Engineering and Technology and the Wireless Telecommunications Bureau, as well as incentive auction issues. Ms. Gregory has worked at the Commission since 2012, first as a legal advisor to Chairman Genachowski and then as Chief of Staff of the Office of Engineering and Technology. Previously, she practiced law at the firms of Wiltshire & Grannis and Holland & Knight. Maria Kirby will serve as a legal advisor to the Chairman, with responsibility for issues in the Media, Consumer and Governmental Affairs and Enforcement Bureaus. Ms. Kirby has served since 2012 as a legal advisor to the Chief of the Wireless Telecommunications Bureau. Previously, she worked in the New York City Office of Federal Affairs and for the law firm of Davis Polk & Wardwell. Deborah Ridley, Confidential Assistant to the Chairman. 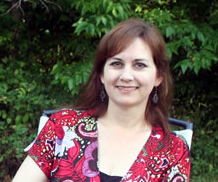 Ms. Ridley has more than 20 years of executive administrative experience. She has held positions in the federal government, the banking industry and private not-for-profit organizations. 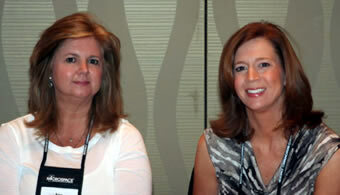 Her titles have included Executive Assistant, Office Manager and Conference Services Manager. Most recently, she served as the executive assistant to the Chairman of the U.S. Commodity Futures Trading Commission (CFTC). Sagar Doshi, Special Assistant to the Chairman. Mr. Doshi is a graduate of Stanford University who has worked at Google and Protocol Link, Inc.
Jon Sallet will serve as Interim Director of the Technology Transitions Policy Task Force and will become Acting General Counsel upon General Counsel Sean Lev's departure before the end of the year. Mr. Sallet has been a partner in three law firms, O'Melveny & Myers LLP, Jenner & Block and Miller, and Cassidy, Larroca & Lewin, and served as Chief Policy Counsel for MCI Telecommunications, later MCI WorldCom. Mr. Sallet also served as Director of the Office of Policy & Strategic Planning for the Department of Commerce, and was a law clerk to the Honorable Lewis F. Powell, Jr., Associate Justice of the United States Supreme Court, and the Honorable Edward A. Tamm of the U.S. Court of Appeals for the District of Columbia Circuit. Jon Wilkins, Acting Managing Director and Advisor to the Chairman for Management. Mr. Wilkins will join the Commission from McKinsey & Company, where he has been a partner in McKinsey's Telecommunications, Media, and Technology practice since 2003. He served on the Obama-Biden Transition Project in 2008 as a member of the senior leadership group for agency review. Earlier in his career, Mr. Wilkins also served at the FCC in the Office of Plans and Policy in 1998-1999, working on digital television, cable, and broadband policy development efforts. Roger Sherman, Acting Chief of the Wireless Telecommunications Bureau. Mr. Sherman previously served as the Democratic Chief Counsel to the House Committee on Energy and Commerce and as Democratic Staff Director to its Subcommittee on Communications and Technology. During the 111th Congress (2009-2011), Mr. Sherman was Chief Counsel for Communications, Technology, and the Internet, and during the 110th Congress (2007-2009) he was Deputy Chief Counsel at the Committee on Oversight and Government Reform. Mr. Sherman also worked for Representative Henry Waxman as a legislative assistant from 1990-1992 and as a legislative aide to Senator Alan Cranston from 1989-1990. Prior to returning to Capitol Hill in 2007, Mr. Sherman spent 10 years as a Director of Regulatory Affairs and Senior Attorney at Sprint Corporation and practiced law at the firm of Wiley, Rein. Apple said it sold 33.8 million iPhones in the last quarter, including models of the 5S, which went on sale last month. 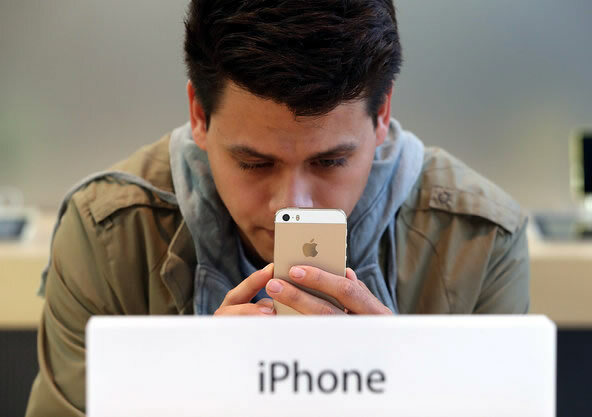 The Apple iPhone 5S is supposed to have significantly longer battery life than its predecessors. But for a small number of the new models, a manufacturing defect has caused the battery to drain quickly, according to the company. "We recently discovered a manufacturing issue affecting a very limited number of iPhone 5S devices that could cause the battery to take longer to charge or result in reduced battery life," said Teresa Brewer, an Apple spokeswoman. "We are reaching out to customers with affected phones and will provide them with a replacement phone." Apple did not say how many iPhones were defective, but its statement implied that it was a few thousand phones. In September, Apple said it had sold nine million new iPhones in the first weekend they went on sale. A manufacturing issue is not the same as a defective battery, which some users thought was the problem with their phones. Apple has faced problems with defective batteries in the past. In 2006, it issued a recall for some laptops because their batteries contained cells manufactured by Sony, which were causing some batteries to explode . London, 7 November, 2013 – PageOne, a leading messaging solutions provider to the public and private sectors, has secured a new national paging channel from Ofcom for use with local on-site paging systems. It enables PageOne to offer organisations such as NHS Trusts a triple-resilience alerting solution which can reduce on-going costs and deliver an integrated more effective approach to critical and operational messaging. Traditionally, NHS Trusts have operated independent systems for local and wide-area paging, leading to significant cost and operational inefficiencies. In addition, most NHS Trusts' current onsite systems operate either on low-band frequencies which are not ideal for in-building signal penetration, or UHF frequencies that have restrictive coverage operating at low power outputs. PageOne's new VHF frequency license allows it to operate at much higher powers to provide improved in-building coverage, and dramatically reduce the quantity of on-site transmitters needed. By uniquely combining PageOne's two-way dual-frequency Responder pagers with an SMS-fall-back capability the solution offers a triple-resilience approach to alerting by integrating local onsite systems with national network services, and has already proved successful with UK Fire Authorities. As well as operating on the on-site paging system as normal, a dual-frequency pager is capable of receiving messages on PageOne's national wide-area network, delivering wider coverage and the added resilience of messages still getting through should the on-site system fail. In the unlikely event that the pager is unable to detect any paging network, the pager notifies PageOne's servers to automatically re-route messages to the pager via SMS until a paging signal is detected. The inclusion of two-way paging directly addresses the issue of not knowing whether a message has been delivered, opening up new ways to better manage resource and response. For example, status updates allow staff to use the pager to register whether they are at work or on-shift to improve management and deliver more targeted messages. Responder pagers can also be enabled with GPS location and SOS alert capability to provide peace of mind for staff working remotely such a drivers or community nurses. "Many existing local paging systems are approaching the end of their lifecycle," says Nigel Gray, Director at PageOne. "With NHS Trusts in particular challenged to find significant efficiencies by 2015, they are reviewing whether they need to replace existing on-site infrastructure or if a more cost-effective solution can be found. As Ofcom looks to review and potentially re-assign existing UHF frequency bands, PageOne's new solution provides a more confident and assured approach to alerting for the future." PageOne is a messaging solutions company which enables organisations to directly engage with their customers, stakeholders and employees across multiple platforms, anywhere, anytime. 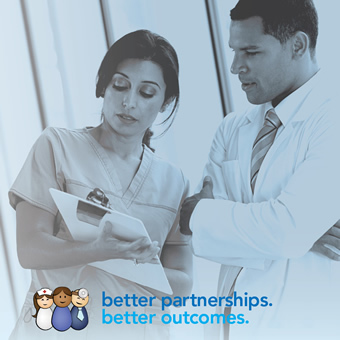 PSN approved, we provide secure and resilient SMS, voice, email, apps and paging solutions that cost-effectively ensure staff safety, increase patient access and drive efficiencies. This technological capability combined with our knowledge and understanding of our customers' needs, ensures they receive a tailored solution that securely integrates with their existing environment and transforms business processes. When it comes to mobile applications, consumers can customize their phones with just a few taps of their finger. Motorola Mobility wants to make it that easy to personalize a gadget's hardware. Motorola late Monday unveiled Project Ara, a hardware platform that would allow consumers to build their own smartphones by snapping modular parts into a frame. The Libertyville-based company, owned by Google, has been working on Project Ara for more than a year and is opening the design process to the public. Project Ara marks Motorola's most ambitious effort yet in customizable mobile devices, a vision it introduced with this summer's launch of the Moto X. That smartphone lets consumers choose from an array of colors for the device's back plate and external hardware accents. With Project Ara, the ability to customize the phone extends into the display, keyboard, camera, battery and processor. A shutterbug might opt for a high-definition display and a camera with lots of megapixels, while a frequent business traveler might choose a battery with extended life. A modular design also means a smartphone owner who wants to upgrade or replace a single part — a sluggish processor or a cracked screen, for example — could do so without buying a new device. Motorola's goal is "to give you the power to decide what your phone does, how it looks, where and what it's made of, how much it costs, and how long you'll keep it," the company's Advanced Technology and Projects group said in a blog post. Motorola declined to comment beyond the post. Project Ara's modular phones appear far from hitting store shelves; the initiative has to overcome a number of engineering and design challenges before becoming reality. Motorola is pushing forward by partnering with Phonebloks, a modular mobile phone concept created by Netherlands-based designer Dave Hakkens. He posted a YouTube video last month explaining his idea and generated significant online buzz, with the video garnering nearly 17 million views. As Hakkens explained in a follow-up video on the Phonebloks website, he talked with a number of companies and discovered that Motorola was already working on a similar concept. The two groups joined forces, though Hakkens said Phonebloks will stay independently funded. Motorola said in its blog post that it will tap the Phonebloks community for feedback. The company also has hired Dscout, a Chicago technology firm, to manage an ongoing consumer research program. Volunteers who sign up online to be "research scouts" will be asked to complete a series of tasks, such as answering questions and snapping photos. Responses are submitted through a mobile application. Tens of thousands of participants have already signed up — about twice the number of volunteers that typically complete projects with Dscout, said Chief Executive Michael Winnick. The Ara program is expected to run for about a year, and Dscout volunteers might get first crack at early prototypes of the modular phone. Dscout has worked with Motorola before, but the Ara project stands out in its "level of ambition and scale," said Winnick, adding that it also is "very rare for a large organization to be out there and open" about new product development. Chris Jansen, a Chicagoan who works in information security and saw the Phonebloks YouTube video, signed up to be a research scout for Ara. He was drawn to "designing a phone in an entirely new way based on community feedback, especially because it takes the idea of 'you can upgrade what's important to you' out of the control of the carriers." The Ara project also attracted Alex Pedenko, co-founder of Chicago-based startup Swingbyte. He used to build his own PCs and is intrigued by the potential to customize a mobile phone with components such as an air quality sensor or barometer. "It opens the door for third-party accessories that people haven't even thought of right now," said Pedenko, whose company makes a gadget that clips onto a golf club and collects data on a player's swing. Technology companies have experimented with modular mobile devices in the past. 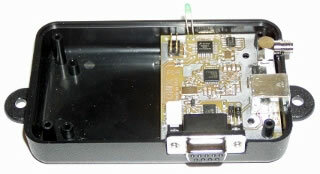 Handspring, the maker of the Palm Pilot personal digital assistant, offered modules such as an MP3 player or GPS unit that plugged into the gadget like a video game cartridge. 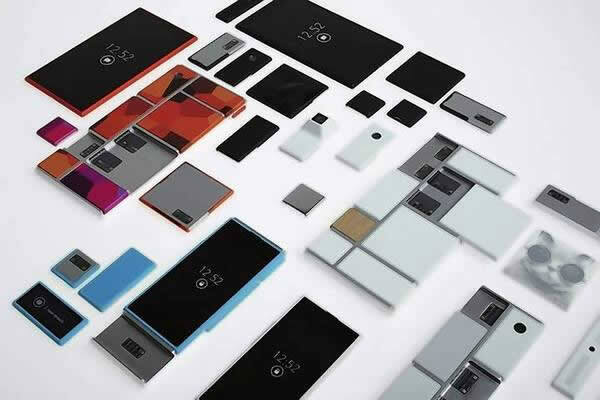 Project Ara envisions components fitting into a frame called the endoskeleton, Motorola said in its blog post. The concept faces hurdles in consumer adoption and engineering. For starters, the ability to choose a battery or processor might appeal only to a narrow technical crowd. And consumers have to understand that customizing one aspect of a device has implications for the other parts, said Jefferson Wang, senior partner at IBB Consulting. Opting for a sophisticated camera, for example, might require a more powerful processor and additional storage. 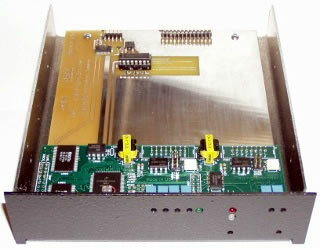 On the engineering side, Motorola will have to make sure all of the mix-and-match modules work together seamlessly. "Even now, with all the features that are continually released for every new device, there are still things that don't work and security loopholes," Wang said, adding: "Imagine when you open this up on the hardware and software layer for everyone to innovate." Motorola and Google are major proponents of open software platforms such as Android, Google's mobile operating system. Motorola said it wants to "do for hardware what the Android platform has done for software," including fostering a community of independent developers. Joe Born, the Chicago-based inventor of an alarm clock dock for Android phones, said the open nature of the software platform has created a "Wild West" atmosphere because there's no "centralized authority" akin to Apple's oversight of its iOS system. "In the long run, all that experimentation and innovation does build to a richer overall experience," Born said. The FCC issued Notices of Apparent Liability (NALs) against three Lifeline providers this week, with proposed fines of $32.6 million in total for apparently violating the FCC's rules prohibiting duplicate support. Conexions Wireless was penalized in the amount of $18.4 million for apparent violations in Arkansas, Maryland, and West Virginia; i-wireless was penalized $8.8 million for apparent violations in Ohio, Illinois, North Carolina, Tennessee, West Virginia, New York, Indiana, and South Carolina; and True Wireless was penalized $5.5 million for apparent violations in Arkansas, Maryland, Oklahoma, and Texas. According to a News Release discussing the NALs, the FCC's Enforcement Bureau found that the companies "apparently violated the rules limiting Lifeline subscriptions to one subscriber per household, and received payments for thousands of consumers that already were obtaining Lifeline service from the same company." In each case, the FCC continued, the carrier knew or should have known, based on internal data, that the consumers were ineligible because they were already receiving service from that carrier. In addition to the proposed penalties, the companies also must refund the universal service funds paid to the carriers for duplicative Lifeline service. The FCC also proposed a penalty of $300,000 against Conexions for its apparent willful and repeated failure to provide timely and complete responses to requests for information, noting that Conexions' conduct delayed and impeded the Enforcement Bureau's investigation. As the battle between Harbinger Capital and DISH Network for control over bankrupt LightSquared continues, the FCC on Friday adopted a Notice of Proposed Rulemaking seeking comment on another satellite company's proposal to expand its use of satellite spectrum for terrestrial broadband operations. Comments on the item will be due 75 days after Federal Register publication, which has not yet occurred. Reply comments will be due 30 days after the initial comments. Under proposed new rules ( FCC 13-147 ), Louisiana-based Globalstar, Inc. would be able to provide low-power Ancillary Terrestrial Component (ATC) service using its licensed spectrum at 2483.5-2495 MHz under certain limited technical criteria, and with the same equipment would be able to utilize spectrum in the adjacent 2473-2483.5 MHz band pursuant to Part 15 technical rules for unlicensed operations in that band. Globalstar's proposed Terrestrial Low Power Service (or "TPLS") would enable what its supporters have deemed "a privately managed extension to the 2.4 GHz 802.11 band." 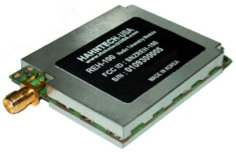 The company envisions TLPS access points and end-user devices operating within the 22 megahertz band designated as Channel 14 (i.e., 2473-2495 MHz) in the IEEE 802.11 "Wi-Fi" standard. 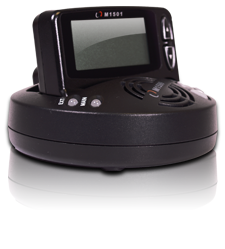 Unlicensed 802.11 devices are currently prohibited from using Channel 14 in the United States because Globalstar's licensed S-band spectrum is a "restricted band" for unlicensed purposes. In addition to its proposal for low-power ATC service, Globalstar's November 2012 Petition for Rulemaking sought the ability to deploy a higher power LTE-based terrestrial service in portions of both the S band (2483.5-2495 MHz) and L band (1610-1617.775 MHz) over the longer term. The Commission said it plans to address the L band portion of Globalstar's proposal in a separate proceeding. While grant of the Globalstar request could potentially increase the amount of spectrum available for broadband access in the United States, significant concerns have been raised about potential detrimental impacts on unlicensed devices. The Bluetooth Special Interest Group, Consumer Electronics Association, Wi-Fi Alliance, and Wireless Internet Service Providers Association have each raised concerns regarding Globalstar's petition with respect to low-power operations in the 2473-2495 MHz band. Among other things, critics believe Globalstar's proposal may require a change in filtering for Wi-Fi devices, increasing costs of devices and resulting in a potential loss in service due to loss of guard band between Globalstar's licensed spectrum and the adjacent unlicensed band. Critics also take aim at the loss of potential "commons" spectrum that would otherwise be available for future innovation to a single firm, and the inconsistency of the proposal with globally-harmonized rules. For its part, Globalstar argues that its low-power broadband network will enhance the commercial viability of its global MSS network by entering into joint ventures with other companies and using the revenues from future terrestrial services and spectrum leases to cover the capital and operational costs of providing MSS. Testing of a low-power wireless system operating with technical parameters consistent with Globalstar's proposal was reported this past August as involving web giant Amazon and a way to connect its Kindle devices to the Internet. Globalstar appears to be pulling out all the stops in seeking to gain public interest support for its proposal. The company's Petition for Rulemaking offers to deploy 20,000 free access points to public and non-profit schools, community colleges and hospitals in the United States, and to provide MSS free of charge to customers in federally declared disaster areas following natural or man-made disasters for the duration of the disaster. A recent ex parte filing by Globalstar notes for the record the company's support for the Obama administration's ConnectED initiative, and that its proposal "can play an important part in meeting the ambitious objectives of ConnectED." Clients should contact us if they are interested in filing comments or learning more about this proposal. On Tuesday of this week, the U.S. Commerce Department's National Telecommunications and Information Administration (NTIA) and the National Institute of Standards and Technology (NIST) co-hosted a conference in Washington, D.C., to celebrate Innovative Spectrum Sharing Technology Day. The event was the outgrowth of last June's Presidential Memorandum to the heads of executive departments and agencies on expanding America's leadership in wireless innovation. One of the major policies outlined in the memo was that, where technically and economically feasible, spectrum sharing "can and should be used to enhance efficiency among all users and expedite commercial access to additional spectrum bands, subject to adequate interference protection for Federal users, especially users with national security, law enforcement, and safety-of-life responsibilities." The conference agenda included opening remarks by officials from NTIA, NIST and the Executive Office of the President, followed by a panel discussion by representatives from other government agencies including the FCC, the Defense Advanced Research Projects Agency (DARPA), the National Science Foundation (NSF), the Office of Science and Technology Policy (OSTP) and the Office of Management and Budget (OMB). 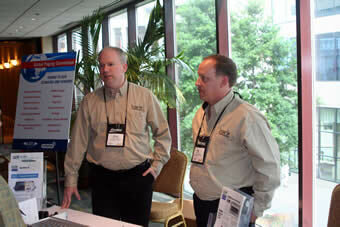 Following the panel discussion, attendees were able to view equipment demonstrations by a number of invited companies that are engaged in the development of spectrum sharing technologies, including BloostonLaw client, xG Technology, Inc., believed to be the only company that has developed a spectrum sharing cognitive radio technology with FCC-approved equipment that has been proven to work effectively under actual field operating conditions. Other invitees included Google, Microsoft, Qualcomm, InterDigital Communications and several research labs from academia. A major thrust of the panel discussion was the need to establish a dialogue between government and private industry. One of the NTIA panelists, Karl Nebbia, Associate Administrator in the Office of Spectrum Management, said that if spectrum sharing is to become a reality, government users need to quantify their use of the spectrum in terms of bandwidth, frequencies and time of use. The DARPA representative, John Chapin, said that his agency is engaged in radio mapping that is designed to do just that. Julius Knapp, Chief of the FCC's Office of Engineering and Technology said that big questions that need to be resolved are how shared systems are going to work under stress and how disputes are going to be resolved. Overall, it seemed very clear from the discussion that the government is turning more and more toward spectrum sharing and that a major push will be made in that direction in the near future, including spectrum sharing workshops to be announced soon. Although the frequency spectrum above 95 GHz has been expanded for use in wireless applications, the FCC has not kept pace. So says a petition filed with the Commission by a section of the Institute of Electrical and Electronics Engineers (IEEE). Citing Section 7 of the Communications Act, IEEE claims that the FCC is obligated to issue a declaratory ruling within 12 months of its filing that services above 95 GHz be classified presumptively as a new technology or service, thereby requiring the FCC to establish new rules for their operation. According to IEEE, grant of the petition would allow for the development of new technologies above 95 GHz, which is now frustrated because the FCC has no regulations governing operations in this portion of the frequency spectrum. Under Section 7, which is premised on the policy of the U.S. to encourage the provision of new technologies and services to the public, the FCC is obligated to determine whether any new technology or service proposed in a filing is in the public interest within one year of the filing. Any party opposing the new technology has the burden to demonstrate that the proposal is inconsistent with the public interest. Although this provision of communications law has been in existence for 30 years, it appears that it has been honored more in its breach by the FCC than in its compliance. Since there are no equipment authorization standards or rules for operations above 95 GHz, developers of new technologies are limited to experimental licenses that are generally of short duration with no benefits of regular licensing. Citing several ongoing technological developments above 95 GHz, IEEE claims that grant of its petition would eliminate or reduce the present barriers to market entry and would stimulate the innovation and capital investment for research and development in this relatively unused portion of the spectrum. Comments on the IEEE petition are due to be filed with the FCC by December 2, 2013 and reply comments are due by December 17, 2013. On November 1, 2013, the FCC released a Public Notice seeking further comment on the proposed "Citizens Broadband Service" in the 3.5 GHz band. Comments are due December 5, 2013, and reply comments are due December 20, 2013. The Citizens Broadband Service was originally proposed in a Notice of Proposed Rulemaking released in December of 2012. There, the FCC proposed to make 100 megahertz of spectrum in the 3.5 GHz Band available for shared commercial use under new flexible use rules designed to encourage use of small cells and advanced spectrum sharing technologies. Under the proposal, the spectrum would be managed by a spectrum access system (SAS) incorporating a dynamic database and, potentially, other interference mitigation techniques. The SAS would ensure that Citizens Broadband Service users operate only in areas where they would not cause harmful interference to incumbent users and could also help manage interference protection among different tiers of Citizens Broadband Service users. The three tiers of service would be: (1) Incumbent Access; (2) Priority Access; and (3) General Authorized Access (GAA). Users in the Priority Access and GAA tiers would be licensed by rule as Citizens Broadband Service users under Part 95 of the FCC's rules. A license-by-rule approach would provide individuals, organizations, and service providers with "automatic" authorization to deploy small cell systems, in much the same way that the Part 15 unlicensed rules have allowed widespread deployment of Wi-Fi access points. Another proposal asked whether the FCC should include new, flexible use rules for the neighboring 3650-3700 MHz band (the 3.65 GHz Band), which is used extensively by wireless Internet service providers (WISPs) and others for commercial broadband services. A set of baseline technical standards to prevent harmful interference and ensure productive use of the spectrum. Although the FCC has specifically requested comment on the Revised Framework, commenters are also invited to discuss any technically viable alternatives that meet the FCC's stated objectives. On October 31, 2013, the Federal Aviation Administration announced that passengers may safely use portable electronic devices during all phases of flight ( i.e., including takeoff and landing). Although differences between airlines will create some variance in the implementation of the FAA's determination, the agency indicated that it expected many companies to allow expanded use of electronic devices by the end of the year. According to the announcement, "[e]lectronic items, books and magazines, must be held or put in the seat back pocket during the actual takeoff and landing roll. Cell phones should be in airplane mode or with cellular service disabled — i.e., no signal bars displayed—and cannot be used for voice communications based on FCC regulations that prohibit any airborne calls using cell phones." The agency further stated that it did not consider changing the regulations regarding the use of cell phones for voice communications during flight because the issue is under the jurisdiction of the FCC. However, the Aviation Rulemaking Committee did recommend that the FAA consult with the FCC to review the current rules. Telecompetitor is reporting that C-Spire, a wireless service provider in the southeastern region of the United States, has announced that it will build gigabit fiber-to-the-home (FTTH) service to nine communities in Mississippi if it receives enough pre-registrations. The nine communities are: Batesville, Clinton, Corinth, Hattiesburg, Horn Lake, McComb, Quitman, Ridgeland and Starkville. C-Spire has indicated that when enough residents from a neighborhood pre-register, C Spire will commit to build out that neighborhood with FTTH. According to the article, C-Spire will price its gigabit fiber service offering as follows: 1 Gbps stand-alone internet access will be priced at $80 per month; a double-play package of phone and internet will cost $100 per month; a double play of TV and internet will be $140; and a triple play offering of TV, phone, and internet will be priced at $160 per month. C-Spire's offering has some similarity to content-provider Google's Gigabit broadband service offerings available in Kansas City and Provo. Commissioner Clyburn has recently taken steps to open a rule making proceeding that would eliminate the FCC's 40-year old sports blackout rules. Commissioner Clyburn has indicated that the high price of tickets to professional athletic events and the state of the economy make it difficult for fans to attend local professional games. The proposal would not prevent the NFL or major league baseball or other professional sports leagues from negotiating agreements with broadcasters, and cable and satellite providers from negotiating individual agreements to black-out certain sporting events. Under current rules, a cable or satellite system may not carry sporting events that have been blacked out on broadcast television due to low attendance at the game. Broacastingcable.com is reporting that the Sports Fan Coalition petitioned the FCC in 2011 to lift the ban by arguing that it would be pro-fan, pro-consumer, deregulatory action serving the public interest by expanding the availability of sports to the public without adding any regulatory compliance costs to the private sector." This position has been supported by members of Congress and Chairman Wheeler was pressed on this very issue during his confirmation hearings before the Senate Commerce Committee. Nov. 7 – Reply comments are due on EAS Testing Issues. Nov. 8 – Electronic filing deadline for Form 497 for carriers seeking support for the preceding month and wishing to receive reimbursement by month's end. Nov. 8 – Reply comments are due on FCC's Notice of Proposed Rulemaking on E-Rate 2.0. Nov. 14 – FCC Open Meeting. Nov. 18 – Phase II E-911 Location Accuracy Workshop. Nov. 18 – Reply Comments are due on FCC's guidelines for human exposure to RF electromagnetic fields. Nov. 18 – Comments on revising and updating the record on cramming are due. Nov. 19 – Reply comments are due on NECA's 2014 Modification of the Average Schedule Universal Service High-Cost Loop Support Formula. Dec. 2 – Reply comments on revising and updating the record on cramming are due. Dec. 2 – Form 323 (Biennial Ownership Report) is due. Dec. 5 – Comments on Revised 3.5 GHz Licensing Model are due. Dec. 8 – Electronic filing deadline for Form 497 for carriers seeking support for the preceding month and wishing to receive reimbursement by month's end. Dec. 20 – Reply comments on Revised 3.5 GHz Licensing Model are due. Dec. 23 – PRA Comments on Electronic Tariff Filing Requirements are due. Jan. 8 – Electronic filing deadline for Form 497 for carriers seeking support for the preceding month and wishing to receive reimbursement by month's end. 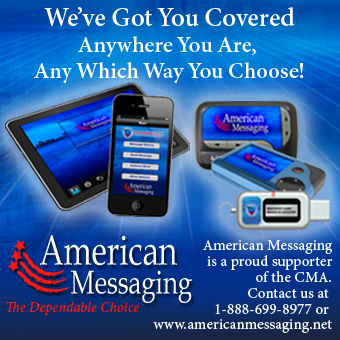 SPRINGFIELD, Va., Nov 05, 2013 (BUSINESS WIRE) — USA Mobility, Inc., a leading provider of wireless messaging, mobile voice and data and unified communications solutions, today announced operating results for the third quarter ended September 30, 2013. In addition, the Company's Board of Directors declared a regular quarterly dividend of $0.125 per share, payable on December 10, 2013 to stockholders of record on November 20, 2013. Consolidated revenue for the third quarter was $49.7 million, compared to $52.3 million in the second quarter and $55.1 million in the third quarter of 2012. Revenue from the Company's Wireless business (USA Mobility Wireless) was $37.1 million in the third quarter, compared to $37.8 million in the second quarter and $41.4 million in the third quarter of 2012. Revenue from the Software business (Amcom Software) was $12.6 million in the third quarter versus $14.5 million in the second quarter and $13.7 million in the third quarter of 2012. The decrease in Software revenue reflects the continuing remediation efforts to address a previously disclosed material weakness in the design of internal control over the timing of Software revenue recognition. Revenue associated with projects completed in the quarter has been deferred and will be recognized in the fourth quarter after a 90 day warranty period has expired. Third quarter EBITDA (earnings before interest, taxes, depreciation, amortization and accretion) totaled $13.4 million, or 27.0 percent of revenue, compared to $17.8 million, or 32.2 percent of revenue, in the third quarter of 2012. Third quarter EBITDA included $13.8 million from Wireless, compared with $14.3 million for the second quarter and $16.3 million for the third quarter of 2012, and negative $0.4 million from Software, compared with $1.4 million for the second quarter and $1.5 million for the third quarter of 2012. Net income for the third quarter was $5.8 million, or $0.26 per fully diluted share, compared to $8.0 million, or $0.36 per fully diluted share, in the third quarter of 2012. The annual rate of revenue erosion again improved to an all-time low of 10.6 percent, compared to 11.7 percent in the second quarter and 14.6 percent in the third quarter of 2012, while the quarterly rate of revenue erosion improved to a two-year low of 1.9 percent from 2.6 percent in the second quarter and 3.1 percent in the year-earlier quarter. The annual rate of subscriber erosion was 8.9 percent in the third quarter, compared to 8.7 percent in the second quarter and 10.2 percent in the third quarter of 2012, while the quarterly rate of unit erosion was 2.6 percent versus 2.4 percent in the second quarter and 2.3 percent in the third quarter of 2012. 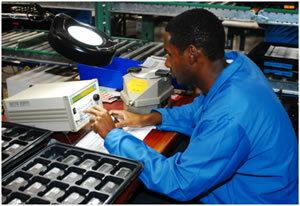 Net unit losses totaled 37,000 in the third quarter, equal to the third quarter of 2012. Units in service at September 30, 2013 totaled 1,408,000 compared to 1,546,000 a year earlier. Total ARPU (average revenue per unit) was $8.22 in the third quarter, the same as the second quarter and compared to $8.36 in the third quarter of 2012. Third quarter EBITDA margin for Wireless was 37.3 percent, compared to 38.0 percent in the second quarter and 39.3 percent in the year-earlier quarter. Bookings for the third quarter increased to $17.3 million from $15.6 million in the second quarter and $15.7 million in the third quarter of 2012. Backlog reached a record high of $43.8 million at September 30, compared to $39.6 million at June 30 and $36.2 million a year earlier. Of the $12.6 million in Software revenue for the third quarter, $7.0 million was maintenance revenue and $5.6 million was operations revenue, compared to $6.6 million and $7.1 million, respectively, of $13.7 million in Software revenue for third quarter of 2012. The renewal rate for maintenance in the third quarter was 99.0 percent. Consolidated operating expenses (excluding depreciation, amortization and accretion) totaled $36.3 million in the third quarter, with $23.3 million for Wireless and $13.0 million for Software, compared to $37.3 million in the third quarter of 2012, with $25.1 million for Wireless and $12.2 million for Software. Capital expenses were $2.5 million versus $2.7 million in the third quarter of 2012. Dividends paid to stockholders totaled $2.7 million in the third quarter. The Company's cash balance at September 30, 2013 was $83.0 million. The number of full-time equivalent employees at September 30, 2013 totaled 652, including 355 for Wireless and 297 for Software, compared to a total of 676 at September 30, 2012, including 396 for Wireless and 280 for Software. Vincent D. Kelly, president and chief executive officer, said: "USA Mobility again made solid progress in the third quarter as both our Wireless and Software operations met or exceeded their performance goals in most key operating categories. During the quarter we continued to see growing demand from our customers for enterprise-wide solutions that integrate both our Wireless and Software product offerings. Overall, Wireless subscriber and revenue trends continue to improve from the prior quarter as operating expenses declined, and Software bookings increased as the backlog reached a record high. In addition, we were able to maintain strong operating margins, operate profitably, and generate sufficient cash flow to again return capital to stockholders in the form of cash dividends." Kelly added: "On the Wireless side, we again exceeded expectations for gross additions, revenue, expenses, EBITDA, operating cash flow and ARPU. The annual rate of revenue erosion reached a record low for the second straight quarter, while the quarterly rate of revenue decline improved to its best level in more than two years. Moreover, the annual rate of subscriber erosion continued near record low levels." Kelly said third quarter sales efforts in the Wireless business continued to focus primarily on its core market segments of Healthcare, Government and Large Enterprise. "Healthcare comprised 74.8 percent of our direct subscriber base at September 30th and continued to be our most stable market segment with a consistent level of gross placements and low rate of net churn. Once again we were pleased that healthcare providers continue to recognize the cost and reliability benefits of paging for their most critical messaging needs." Commenting on the Software business, Kelly said: "Third quarter bookings increased from both the second quarter and year-earlier quarter while the backlog reached an all-time high of $43.8 million. Our Software sales team added new accounts in such core segments as healthcare, public safety, and government agencies and continued to build a solid pipeline of prospective business. One significant new contract, for example, included four military bases that were looking to improve their emergency call handling and response capabilities. Overall, customer demand remained strong for such software solutions as call center management, clinical alerting middleware, secure texting and emergency notification. Sales activity remained strongest in North America; however, we also added accounts in the Asia-Pacific region and EMEA countries (Europe, Middle East and Africa) as we continued to expand our software business in international markets." Kelly noted that the process of remediating the previously identified internal control weakness on Software revenue recognition has been underway and is expected to be completed as early as the fourth quarter. "Upon remediation we expect to report higher Software revenue as we will recognize revenue not only on transactions we complete in the fourth quarter but also revenue for those transactions from the prior quarter that were deferred until expiration of the 90-day warranty period." Shawn E. Endsley, chief financial officer, said the Company's balance sheet continued to benefit from strong quarterly performances by both the Wireless and Software businesses. "Improved rates of revenue erosion and subscriber churn, combined with solid operating expense management and stable ARPU, helped drive strong EBITDA in our Wireless business," he noted, "while our Software bookings and backlog continued to increase. The net result was a consolidated cash balance of $83 million at September 30th. In addition, we continue to operate as a debt-free company and maintain approximately $40 million in borrowing capacity through our credit facility." Endsley said the Company is maintaining its previously announced financial guidance for 2013, which projects total revenue to range from $195 million to $213 million, operating expenses (excluding depreciation, amortization and accretion) to range from $150 million to $152 million, and capital expenses to range from $8.1 million to $9.7 million. 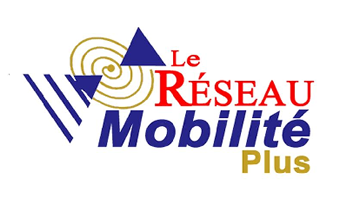 USA Mobility plans to host a conference call for investors on its third quarter results at 10:00 a.m. Eastern Time on Wednesday, November 6, 2013. Dial-in numbers for the call are 719-325-2469 or 888-466-4462. The pass code for the call is 1581551. A replay of the call will be available from 1:00 p.m. ET on November 6 until 1:00 p.m. on Wednesday, November 20. Replay numbers are 719-457-0820 or 888-203-1112. The pass code for the replay is 1581551. USA Mobility, Inc., headquartered in Springfield, Virginia, is a comprehensive provider of reliable and affordable wireless communications solutions to the healthcare, government, large enterprise and emergency response sectors through its wireless subsidiary, USA Mobility Wireless. 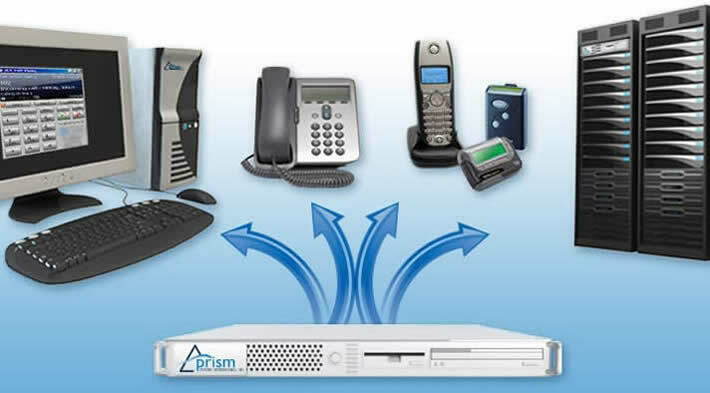 In addition, through its software subsidiary, Amcom Software, it provides mission critical unified communications solutions nationally and internationally to leading organizations in such industries as healthcare, hospitality, education, business and government. Amcom connects people to each other and the data they need. Its software solutions include critical smartphone communications, contact center optimization, emergency management and clinical workflow improvement. As a single-source provider, USA Mobility Wireless focuses on the business-to-business marketplace and supplies wireless connectivity solutions to organizations nationwide. The Company operates the largest one-way paging and advanced two-way paging networks in the United States. USA Mobility Wireless also offers mobile voice and data services through Sprint Nextel and T-Mobile, including BlackBerry(R) smartphones and GPS location applications. Its product offerings include customized wireless connectivity systems for the healthcare, government and other campus environments. For further information visit www.usamobility.com and www.amcomsoftware.com. Safe Harbor Statement under the Private Securities Litigation Reform Act: Statements contained herein or in prior press releases which are not historical fact, such as statements regarding USA Mobility's future operating and financial performance, are forward-looking statements for purposes of the safe harbor provisions under the Private Securities Litigation Reform Act of 1995. These forward-looking statements involve risks and uncertainties that may cause USA Mobility's actual results to be materially different from the future results expressed or implied by such forward-looking statements. Factors that could cause actual results to differ materially from those expectations include, but are not limited to, declining demand for paging products and services, continued growth of our Software business and demand for our Software products and services, our ability to develop additional software solutions for our customers, the ability to continue to reduce operating expenses, future capital needs, competitive pricing pressures, competition from both traditional paging services and other wireless communications services, competition from other software providers, government regulation, reliance upon third-party providers for certain equipment and services, as well as other risks described from time to time in periodic reports and registration statements filed with the Securities and Exchange Commission. Although USA Mobility believes the expectations reflected in the forward-looking statements are based on reasonable assumptions, it can give no assurance that its expectations will be attained. USA Mobility disclaims any intent or obligation to update any forward-looking statements. Remember how I told you earlier this week to circle Nov. 22 in pencil as a possible Nokia Lumia 1520 launch date? You can now switch to the pen, because Nokia just announced that the Lumia 1520 will be available from AT&T on Nov. 22 for $199.99 with a two-year contract. The Lumia 1520 will also be available through AT&T Next for $27.00 per month or $584.99 without a commitment. Customers that'd like to guarantee their very own Windows Phone phablet can pre-order the Lumia 1520 starting today by hitting up AT&T's website or an AT&T store. Nokia also says that a version of the Lumia 1520 with 32GB of built-in storage, double that of the model launching on Nov. 22, will be sold by AT&T "in the near future." AT&T, Microsoft and Nokia are also teaming up to include several goodies with each Lumia 1520 purchase. Consumers that buy the new handset from AT&T and activate it by Jan. 9 will receive a $20 app credit for the Windows Phone Store. AT&T is also giving Lumia 1520 owners 50GB of AT&T Locker cloud storage space, while Microsoft is giving away free copies of Halo: Spartan Assault. Meanwhile, anyone that buys a Lumia 1520 from Microsoft will get a free $50 Microsoft Store app card in addition to the aforementioned $20 voucher and copy of Halo. And as if that wasn't enough, Microsoft will also throw in a free flip cover worth $40 with any pre-orders placed through its online or brick and mortar stores. 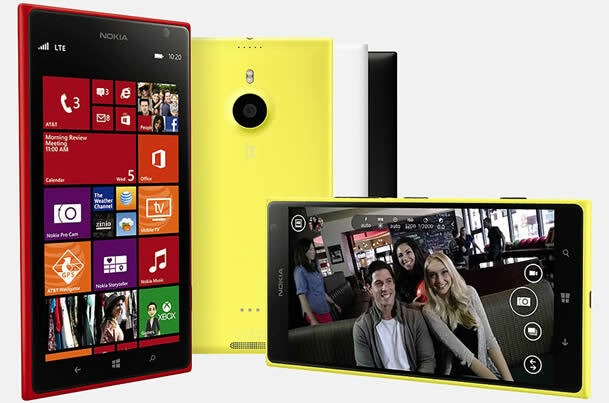 With its 6-inch 1080p display, the Nokia Lumia 1520 is the largest Windows Phone to date. Support for phablet-sized displays only recently came to Microsoft's mobile platform with the debut of Windows Phone 8 Update 3, which also added support for Qualcomm's quad-core Snapdragon 800 processor. The Lumia 1520's got one of those at its heart, and the giganto-phone's also got a 20-megapixel PureView camera on its backside, a microSD card slot and a beefy 3400mAh battery. If that all that adds up to make a device that you want to cram into your pocket, then you can hit up the AT&T and Microsoft Store links below to get your pre-order on. Thought you might be interested in this. The product appears to be a server based platform, but it is nice to see Pager in the name.